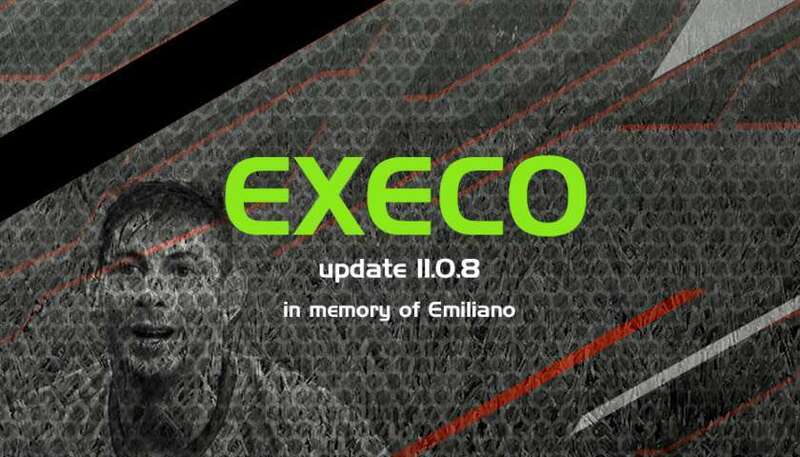 Smoke patch EXECO version 11.0.5 pes 2019 for season 2018-2019. Smoke patch is one of the best patches for PES 2019 game lovers. Please read the release notes before you install this patch. Be sure you have the latest version before reporting something. Two new teams added to execo19 to complete all the teams participating in the uefa champions league of the year 18/19, we added (crvena zvezda and viktoria plzeň) fully updated and licenced. The cl teams are all included although the group stage teams will be randomized by the game. We usually work and focus on english language as its the most used language for the game menus and sub-menus, and we also work the other languages as well, but as there are many languages and we dont speak most of them mistakes can happen. This version we have revised and remade all the languages specially for the competitions names. This version includes the data from dp3 recently released by konami, execo19 is always compatible with the latest konami version and works on all game versions. The elements added by the dlc are merged in the patch and is adapted to work normally with smoke patch. A new stadium pack is availoable in this version, we have added stadiums made by konami from the data packs or from older game version. The total number of usable stadiums are 53 unique stadium models, all available in both select mode and edit mode. Both stadiums have new turf adapted from turfs of pes19, please note that both stadiums are mode for day game only, but they are unlocked so you can change the home ground of man united and bayern if you want. We have included a new boot pack to execo19, all boots are unique and re-textured to work perfectly in 4k resolution or any other quality settings, some of the new boots are imported from the new dlc3, total number remains 100 boots as it is the game limit of boots files. All balls are reconverted specifically for pes19, the balls are re-textured and converted to the proper ftex format, imported new and updated balls from konami dlc. Big workup regarding graphics, we reconverted the flags and optimized for hd quality while remaining fast loading in the game menu. Extract patch files (Download all parts and be sure all are completed, extract only part one the rest will be extracted automatically, don't move any of the installation files or folders). Run setupexeco19v1105.exe (Run the installer and choose PES 2019 installation folder, the patch must be installed in the same game folder, be sure you don't get errors and that the installer finished successfully). Copy the Edit file (Manually copy the edit file (edit00000000) that came with this patch to the game save folder usually located in: (#\documents\konami\pro evolution soccer 2019\(your steam ID)\save)). 0 Response to "Smoke Execo Patch V11.0.5 AIO + Update V11.0.8 - PES 2019"